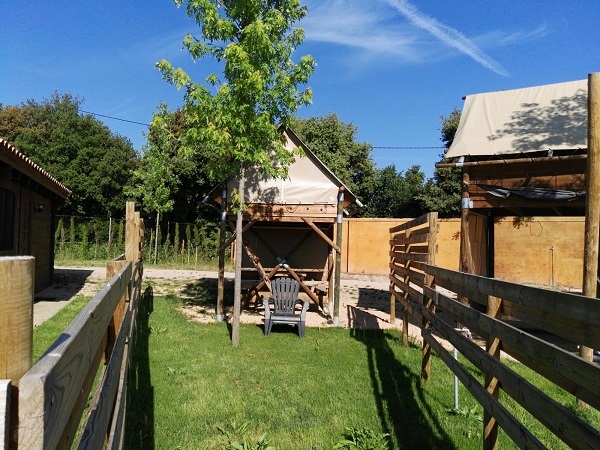 Camping Rural Montori - Rural Campsite. A paradise in the Emporda. 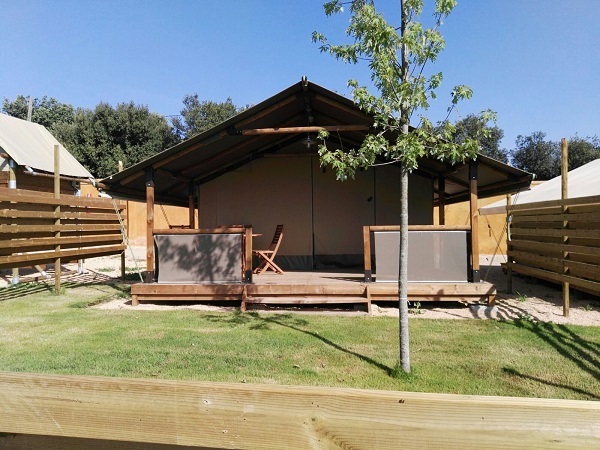 The Càmping Rural Montori is a rural campsite, a place where you can relax, enjoying nature, just 20 min. from the best beaches of the Costa Brava. 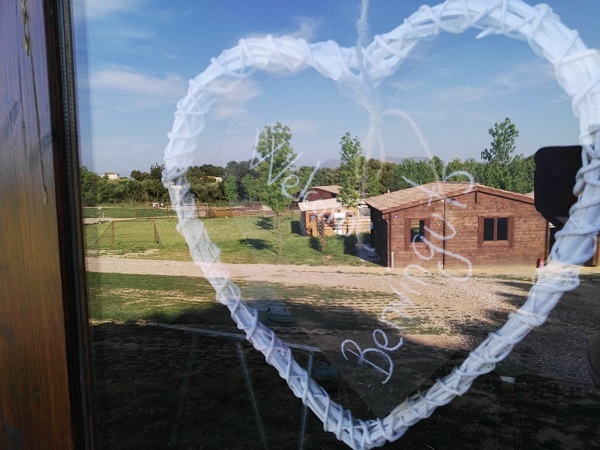 We are surrounded by the magnificent landscape of the Emporda plain and very closely the most charming villages. 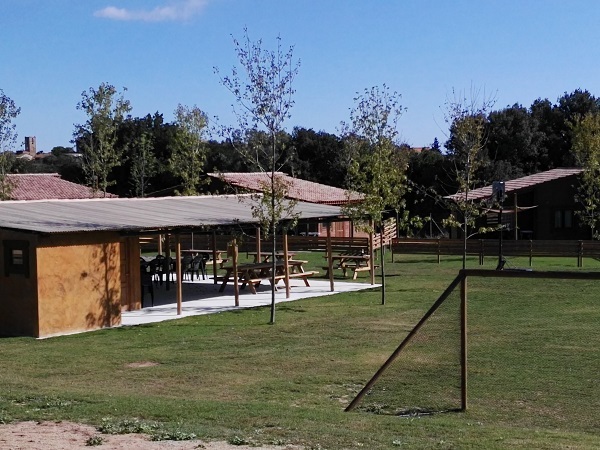 The Càmping Rural Montori is a new concept of the rural campsite. 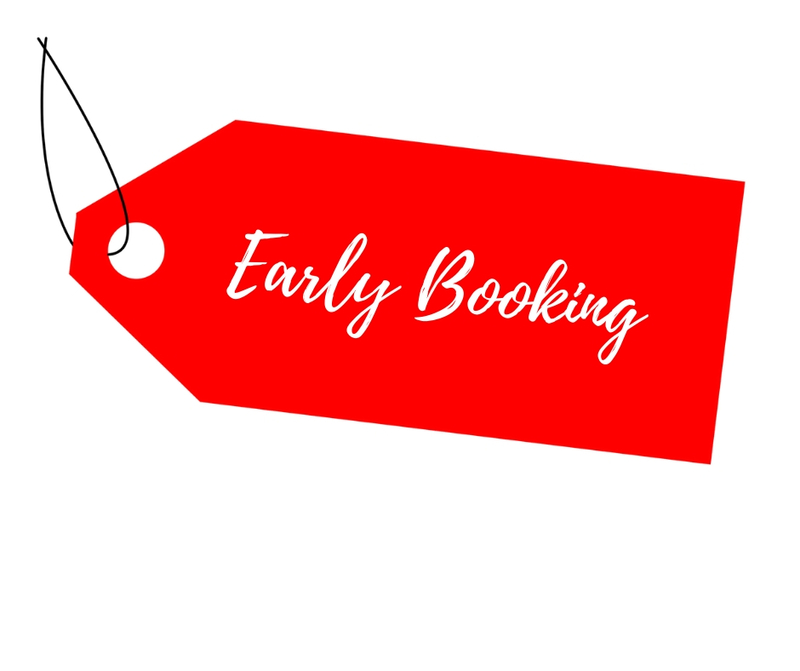 We want our customers to enjoy their holidays close to the beach, with all amenities but in a quiet environment without bustling atmosphere at the seafront. 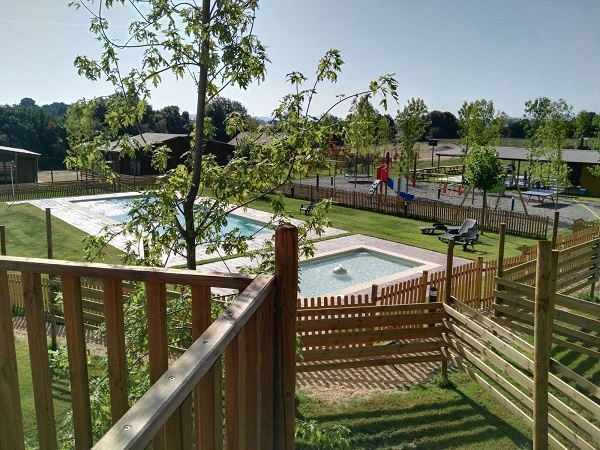 The children can swim all day in the water salt pool, play in the playground, or go to see animals grazing in the fields nearby. 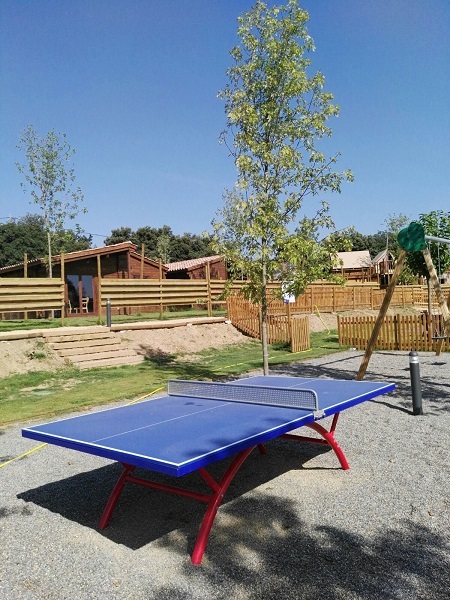 From the campsite there are trails for walking or cycling, or simply walking along the surroundings. We want you to do vacations! 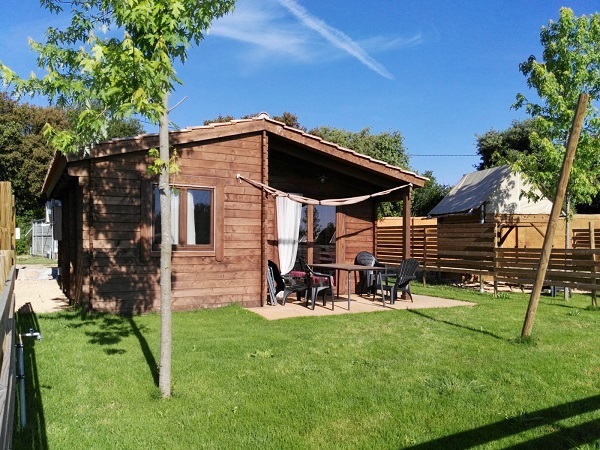 Wooden chalet with kitchen, bathroom and 3 bedrooms (6 + 2 pax). 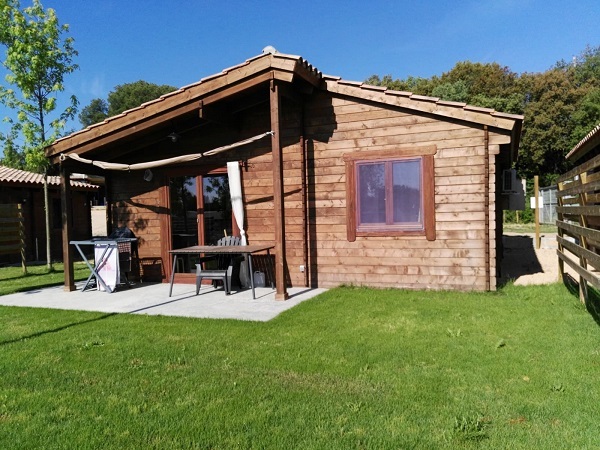 Wooden bungalow with kitchen, bathroom, and 2 bedrooms (5 + 2 pax). 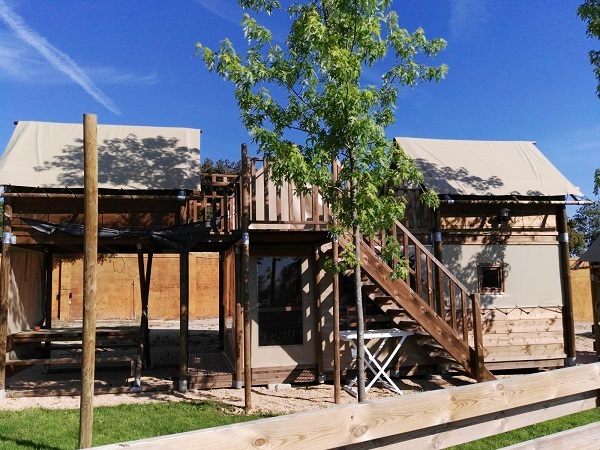 Original bungalow with kitchen, bathroom and three bedrooms-tents (up to 6 pax). Tent with kitchen and bathroom. 2 bedrooms (up to 5 pax). High tent for two people. Table and wooden benches below. 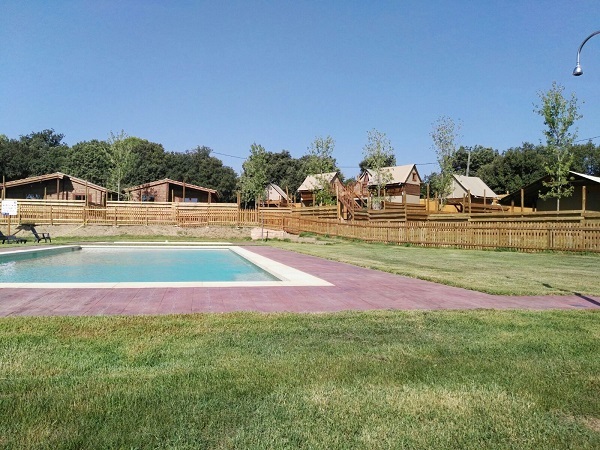 At the Camping Rural Montori you can find a saltwater pool surrounded by loungers to sunbathe or read your favorite novel, while you go a dip from time to time. Nearby is the baby pool, which can refresh calmly. 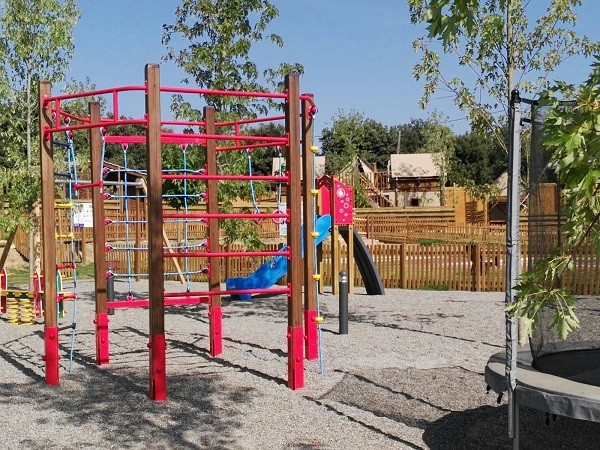 There is also a playground with swings, slides, seesaws, and so on, and a sports area where older can practice a bit of sport. We have a multipurpose room with TV, tables and chairs, and a barbecue area and sinks. Next to the reception, you can find a laundry area with three washing machines that you can use at no cost. There is WiFi throughout the campsite.